Every year lakhs of candidates appear for the Indian Civil Service examinations, often rated as the toughest competitive exams in the country, conducted by the Union Public Service Commission (UPSC). Of the 24 services that come under the purview of the All India Services. As there are 3 main services that are the most sought-after for their career potential among civil service aspirants. Namely the Indian Foreign Service (IFS), the Indian Police Service (IPS) and finally the most prestigious and highly-rated of them all – the Indian Administrative Service or IAS. The IAS forms the bureaucratic backbone of the government of India and includes all the senior most functionaries of the state and central government, assigned with the task of helping the government to function efficiently. Candidates have to successfully clear three main stages of this examination, namely the Prelims, Mains and a final interview round before they are selected for a career in the Indian Administrative Services of India. What does an IAS Officer do? As outlined above, an IAS officer’s most basic priority is to help senior government functionaries and ministers frame policies and administer their respective department/ministries. However, They also have to report back to the concerned ministry. On the steps taken to execute the same and share feedback on the ground impact and areas which offer scope for improvement. IAS officers normally begin their career at the lowest sub-divisional level and are also answerable to both their state legislatures and the Union Parliament. Revenue collection, fund disbursement, crisis management, disaster relief, maintaining law and order, policy formation – are some of the other major responsibilities of an IAS officer. Promotion of an IAS officer to the post of District Magistrate or DM of a district, District Collector or Commissioner is depends on overtime and his/her performance. Upon reaching a certain level of seniority, officers are often deputed to central postings as Deputy /Joint /Cabinet Secretary with the central government. Some senior IAS officers are also given senior positions heading prestigious PSUs or Public Sector Undertakings. How much do they earn per month? Besides the incredible power that they wield in matters of public administration and their proximity to influential politicians, IAS officers are also very well paid for their services. For example, a junior officer can expect to make approx. INR 60,000 per month, plus a host of additional allowances (HRA /TA) thrown in, if applicable. Not bad at all for a rookie officer still learning on the job. On the other end of the spectrum, a very senior IAS officer – at the level of Cabinet or Joint Secretary – is paid around INR 2.5 lakhs per month – all thanks to the 7th Pay Commission recommendations. 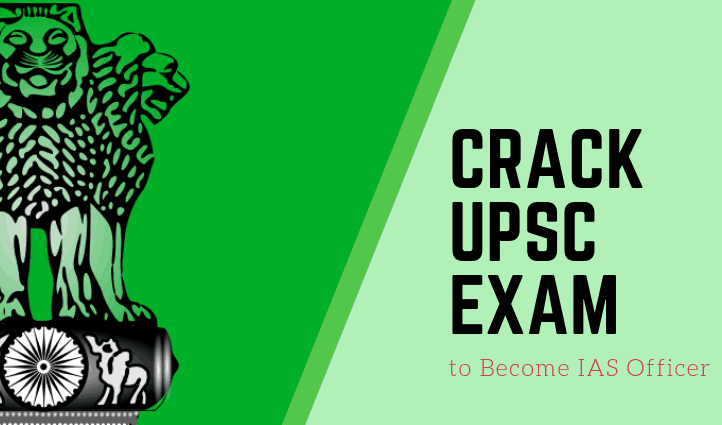 Here’s a look at some of the primary eligibility conditions that have to be met by candidates interested in appearing for the UPSC examinations. Those interested in joining the IAS or IPS – have to be resident Indian citizens only. Every candidate needs to be in good physical and mental health, sans any issues that may affect his official performance. Candidates need to make themselves for a medical examination conducted by the Central Standing Medical Board (CSMB) to determine their mental and physical status. Candidates have to be between the age group of 21-32 to qualify for this exam. The calculation of the candidate’s age generally gets under consideration from August 01 of the year of the examination. This limit of appearing for UPSC exams is 3 years for OBC candidates and 5 years for SC/ST aspirants and ex-serviceman. Aspirants also need to have atleast one under graduate degree from a government-recognized, deemed or prominent foreign university. Those with a distance education degree or equivalent qualification (recognized by the GoI) are also eligible to apply. Final year college students generally can take the first stage of UPSC examination. General category candidates have a total number of 6 attempts to clear this UPSC examination. OBC candidates are allowed 9 attempts while SC/ST candidates can have unlimited tries till such time they do not cross the max age limit of 32 years. Candidates can also apply online on the UPSC website, or through various Post Offices throughout the country. The application deadline is usually around the months of February & March. With a success rate of less than 10 percent, this examination is among the most difficult public service exams in the country. Needless to add, it requires months of rigorous UPSC preparation and serious study to clear all the three rounds prior to a candidate’s selection. The first phase which is the Preliminary (objective) test is normally held around the month of June, while the written test is conducted around October each year. Only students who have managed to pass both tests are shortlisted for the final interview/personality test round which is organized between March-May every year. The final results are announced in the month of June. For freshers should make study plan for preparing to attempt the UPSC examination for the very first time it is essential to gain a better understanding of the examination syllabus and pattern. The first step which is the Preliminary exam consists of two compulsory tests – General Studies I and General Studies II. Each paper comprises of 200 marks and both are compulsory if you want to reach the next level. To give you a better idea of some of the main topics covered in the written test, here’s a preview of some of the important subjects that you need to read up on to ace the written examination. Important national and global events. Indian Constitution and System of Governance. Indian history and Freedom Struggle. Socio-economic and sustainable development issues & challenges. Global Warming, Climate Change, Environmental Ecology and General Science. Your decision-making and problem solving skills. Ability for logical reasoning & analytical analysis. General mental & cognitive ability. Aptitude test preparation for basic numeracy and data interpretation. There is absolutely no dearth of books and academic literature which can help you crack UPSC exam in the first attempt. You can also find several NCERT books and topics which are specifically used as reference and preparatory material by IAS aspirants. It is important to have a long-term strategy in place to clear an examination as important and as difficult as the UPSC exam. Therefore, Keeping this fact in mind a majority of the aspirant starts to begin their preparation to crack UPSC exam upto a year in advance and sometimes even before. Ultimately what matters is not the duration of your preparation but the quality. There have been several cases of UPSC candidates coming in the Top 100 after only a few months of intense UPSC preparation. A disciplined and focused mind with a passion for learning and reading is one of the basic traits which is a need for every candidate who aspires to ace this difficult examination. This entry was tagged govt jobs in India, Govt. Jobs. Bookmark the permalink.